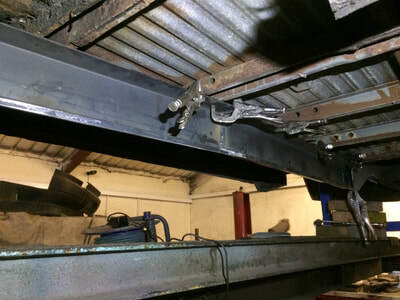 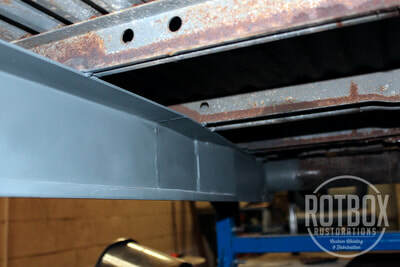 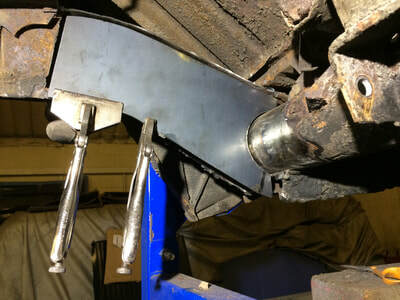 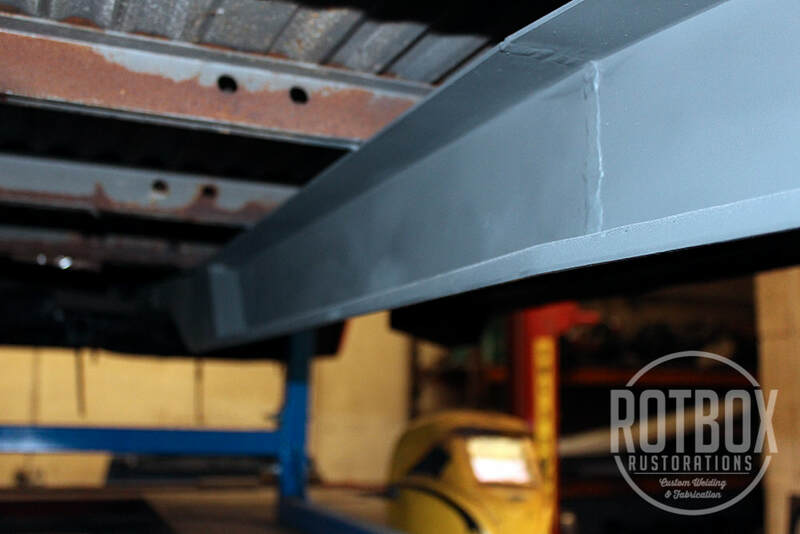 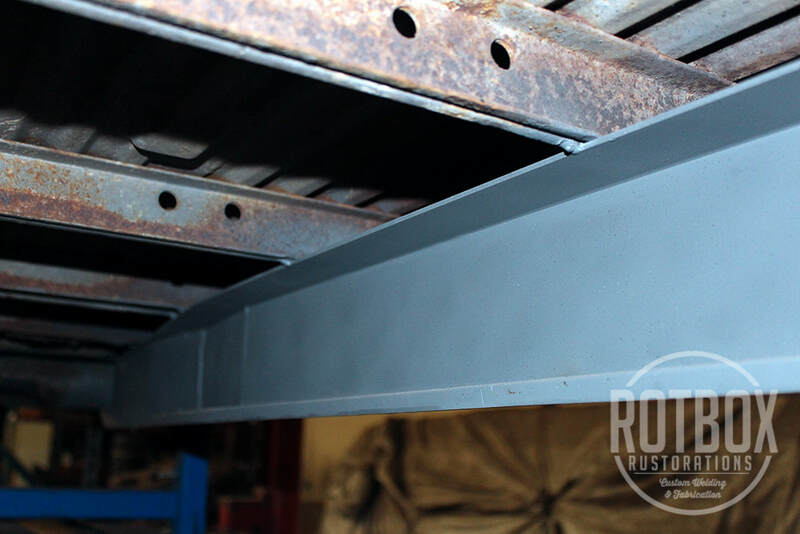 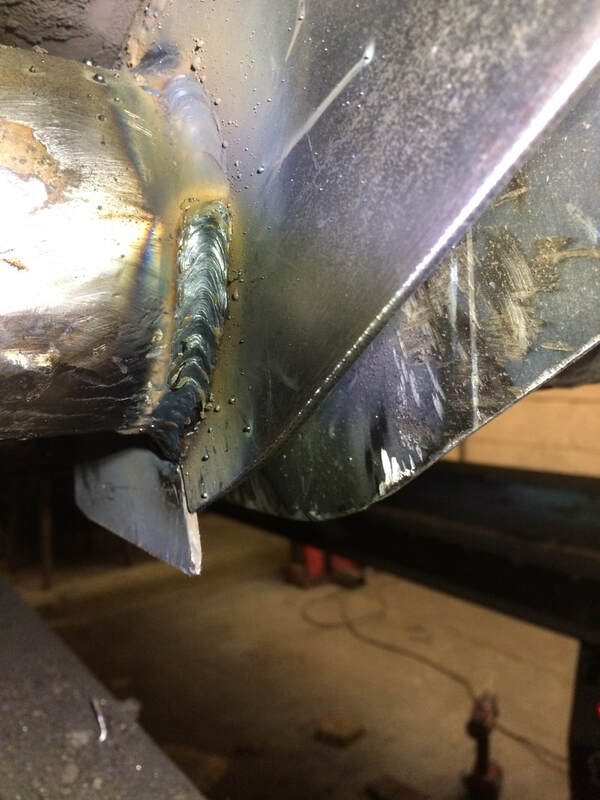 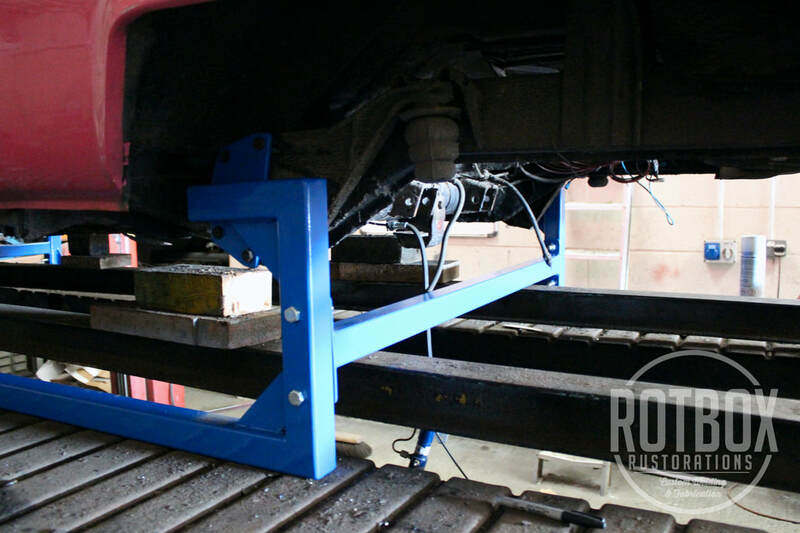 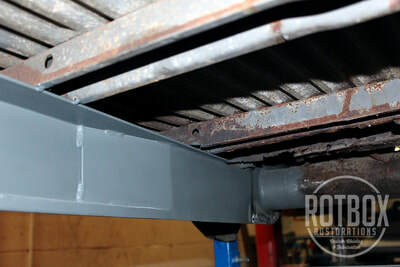 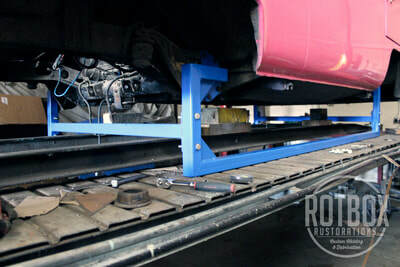 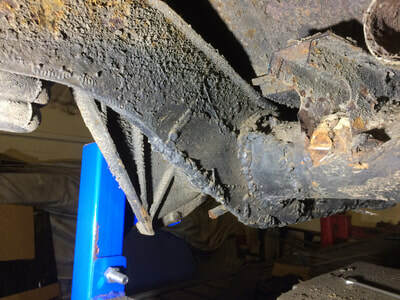 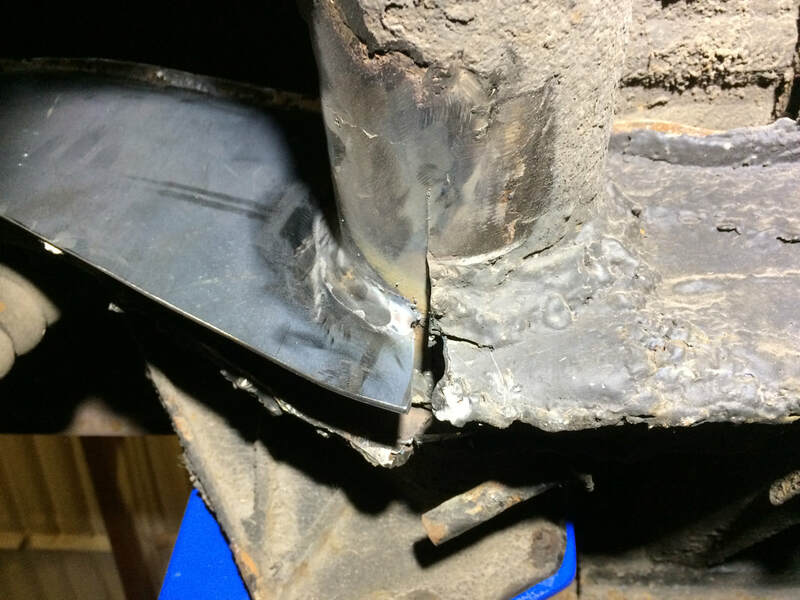 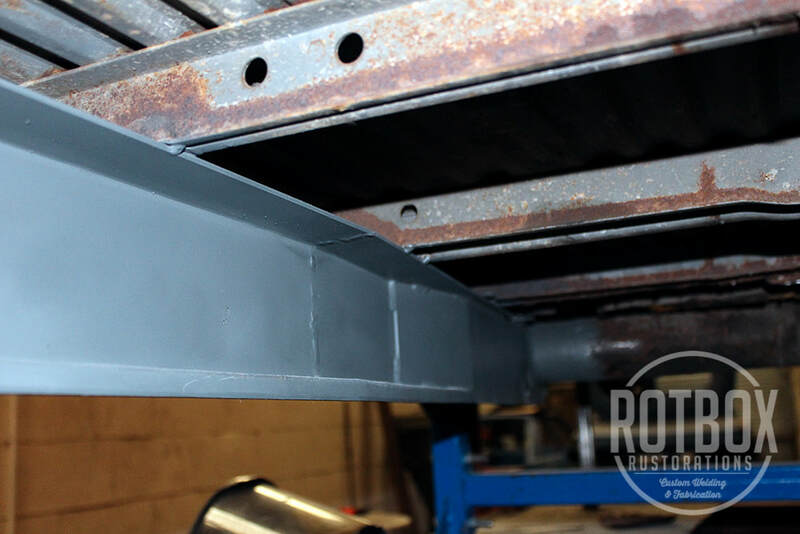 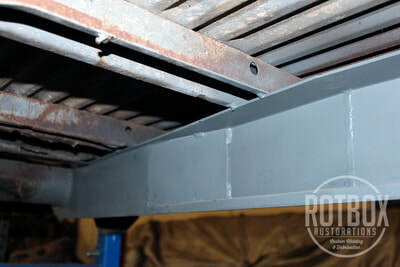 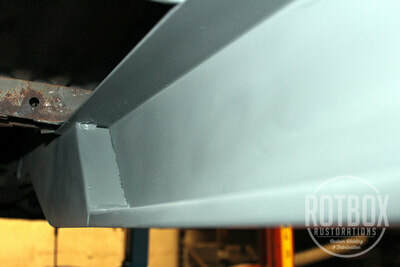 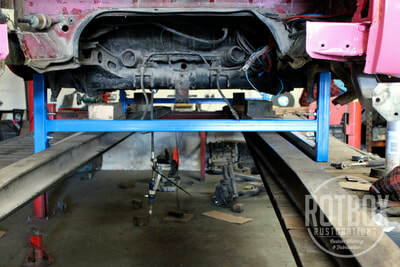 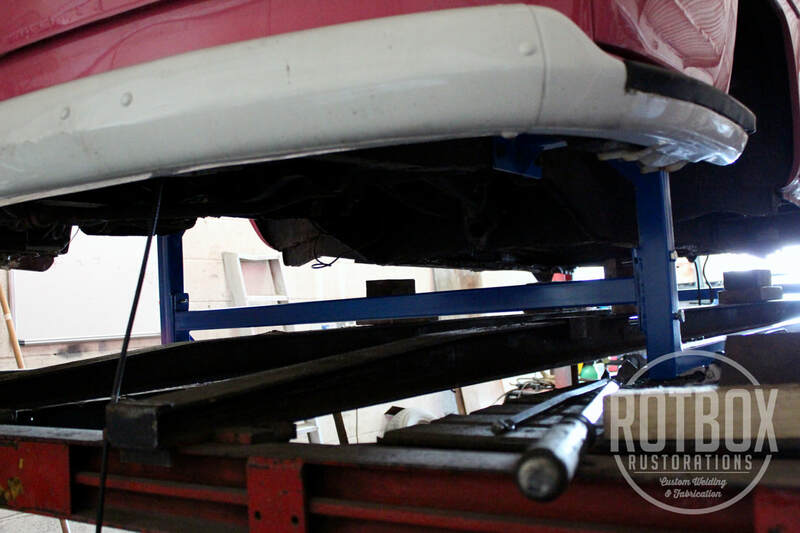 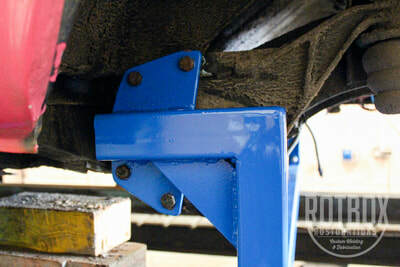 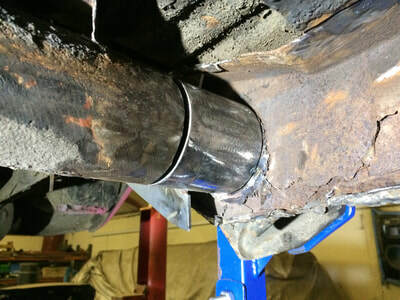 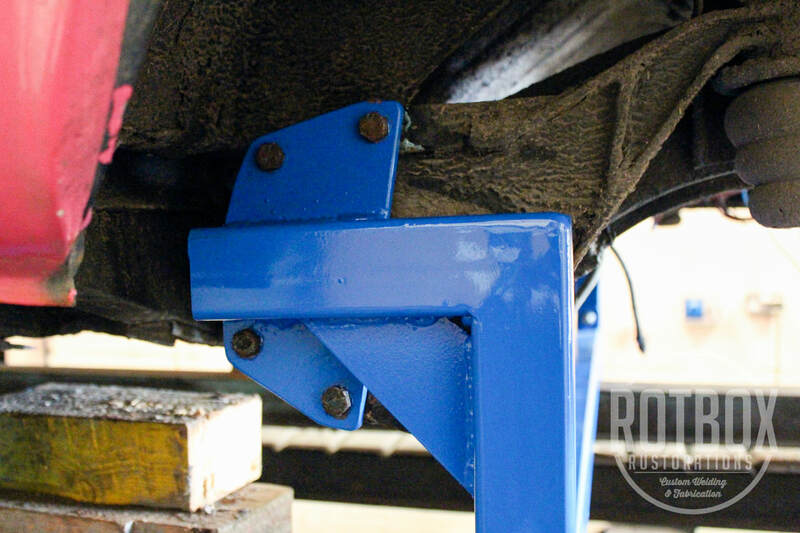 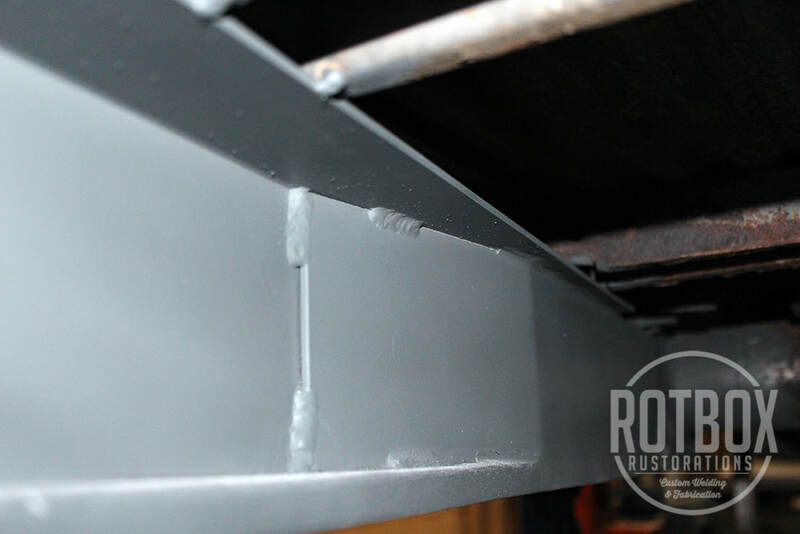 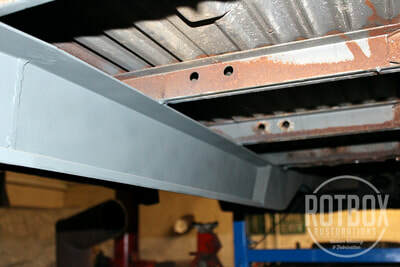 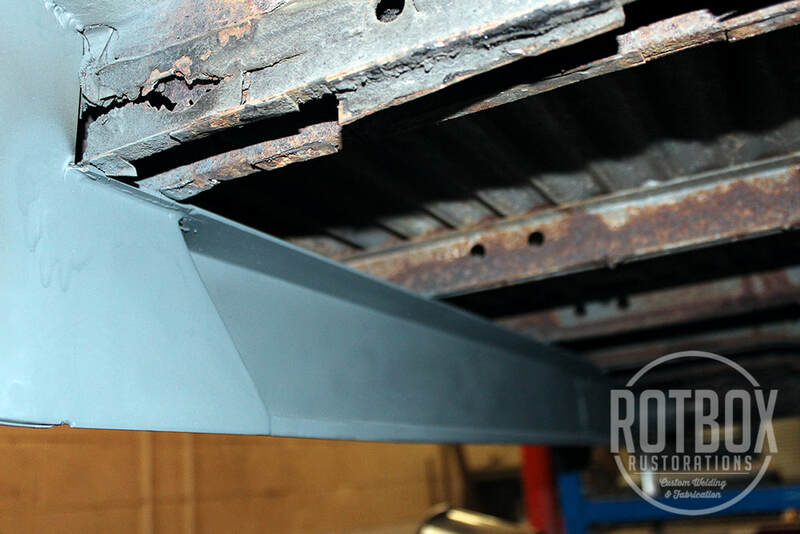 For this job we fabricated a jig frame out of heavy duty box section that bolted onto the camper body shell so all the suspension could be removed and the chassis and floor chopped out without it going out of alignment. 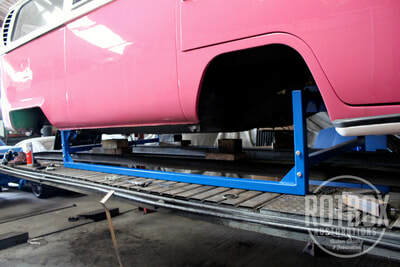 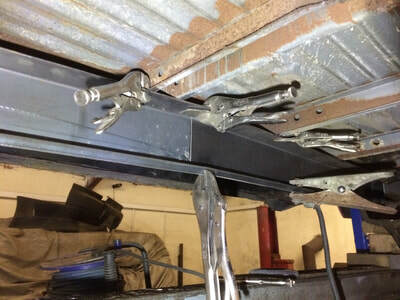 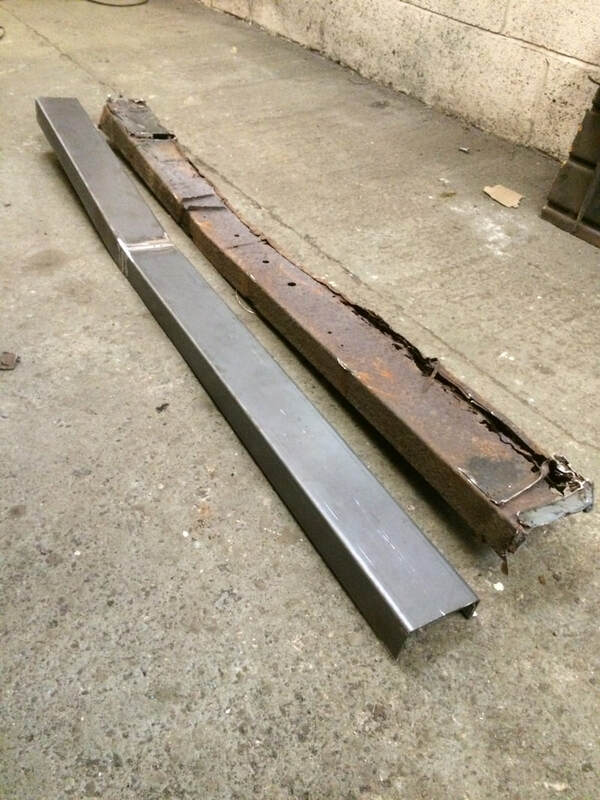 Custom jig frames like this one can be made to order for any vehicle and would cost around £400 in total. 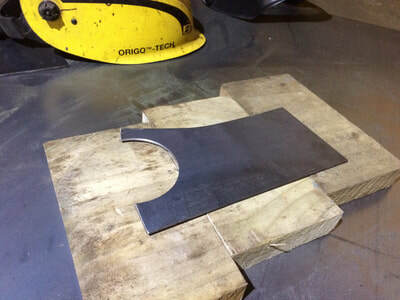 Please contact us for details if you would like one making. 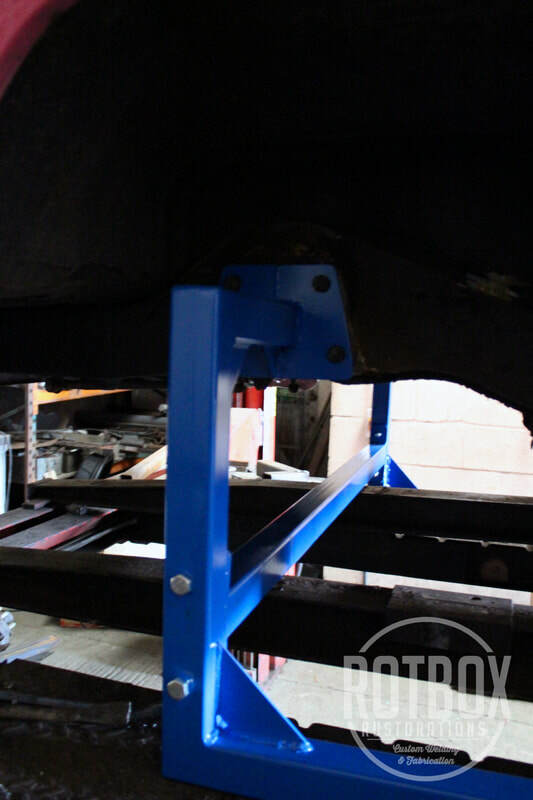 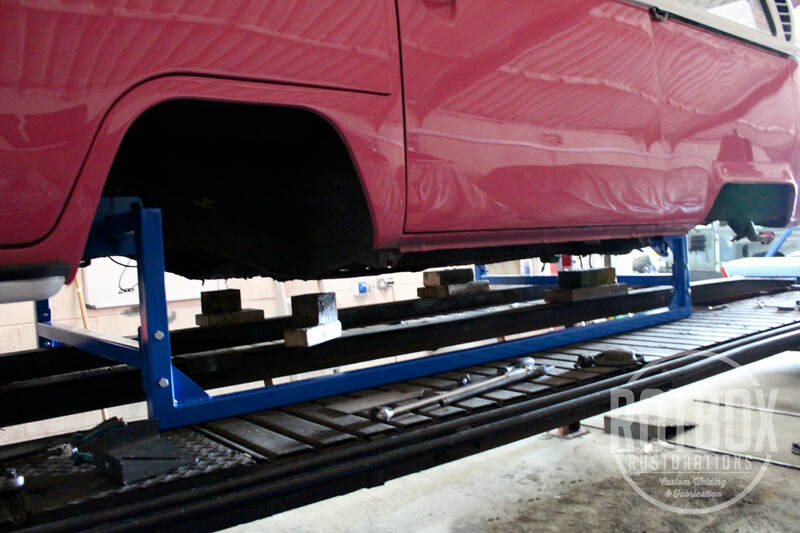 This vehicle stand has been built using 3mm thick box section and added gussets for extra strength and durability. It is made so it can be unbolted and packed away when not in use. 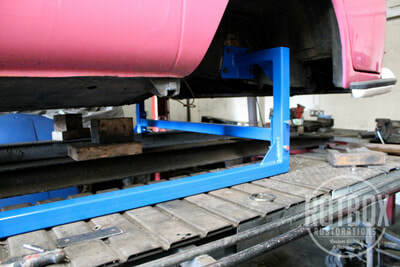 Wheels could be added if required to make it easily moveable.